The Icom ID-31A PLUS lets you operate in the D-STAR mode from a very compact handheld! This 440 MHz HT also supports conventional FM comms. The transmit range is 420 to 450 MHz and the receive range is 400 to 479 MHz in FM, FM-N and DV modes. It is IPX7 waterproof and features a built-in GPS! It has a huge 1302 alphanumeric memory system featuring, 500 Regular, 750 D-STAR Repeater Memories, 50 Scan Edges and 2 Call Channels. There are 200 GPS memory channels (including altitude data). There is a Micro SD card slot for an optional memory card. This can be used to store DVR Incoming/Outgoing Messages, GPS Log and Memory Backup. There is built-in CTCSS/DTCS encode/decode for analog FM. 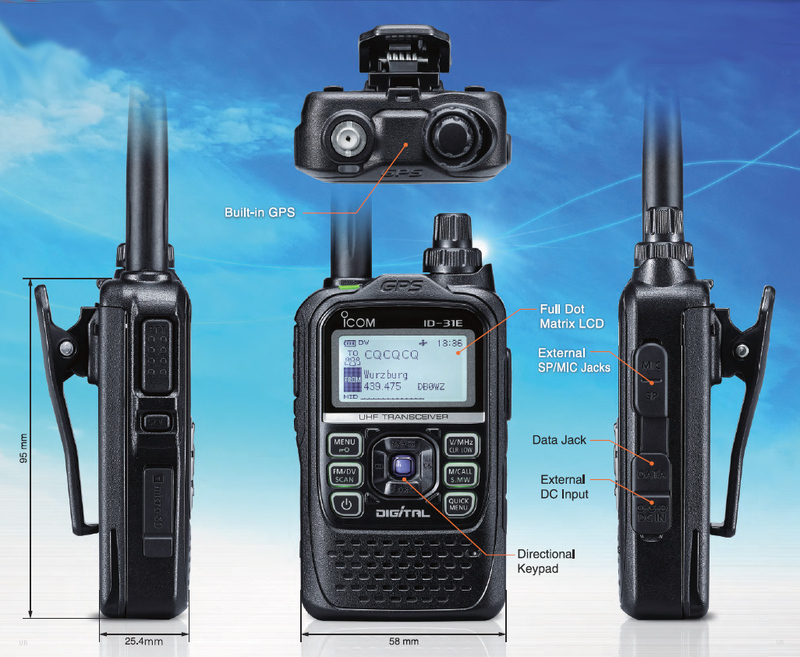 The speech function announces frequency, mode and call sign. Several battery options are available. Four power levels are available: 5, 2.5, 0.5, 0.1 watts. The ID-31A+ comes with the BP-271 battery, FAS270C SMA flexible antenna, MB-127 belt clip and BC-167 wall charger. 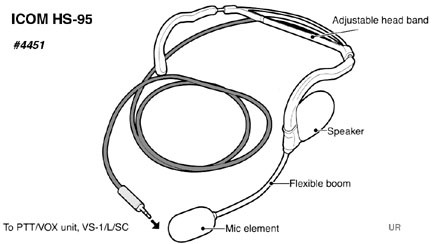 It also includes the CS-31 cloning software (requires OPC-2218LU cable). D-STAR (Digital Smart Technology for Amateur Radio) is a digital radio protocol developed by the JARL - Japan Amateur Radio League. #5833 BC-202 Desktop 2/3.5 hour Li-Ion rapid charger for BP-271/272. CS-31 Programming Software (included with the radio).